Platinum Bright Embers are specially designed to enhance the look and operation of your vented gas log set. Platinum bright embers promote combustion of fuel from the burner to provide a more realistic looking effect than standard gas log embers. 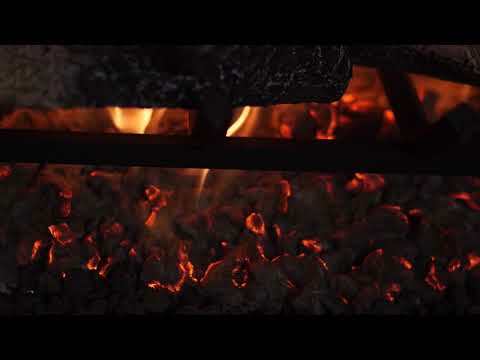 In addition to creating a bright flickering appearance like that of real wood ember beds, these embers radiate broadband infrared heat thus creating a warmer fire and reducing the formation of soot on gas logs. To install, each square has multiple thin layers (much like cotton batting) that need to be peeled apart and spread over the embers that come with your gas log set. The thinner you pull it apart, the brighter the Platinum Bright Embers will glow. Platinum Bright Embers are not approved for use in Vent-Free fireplaces. Shipping weight is 1 lb. Actual product weight is .03 oz. They really are bright and beautiful as described. Kicking myself for not ordering last year. Just be aware if you have smallish firebox, you may not need to use the whole bag. They won't glow brightly if you place them too thickly. Really enhanced our fireplace. Love Those Red Hot Coals !! The "Platinum Bright Embers" are a "Major Contributing Factor" to the appearance of an authentic wood fire !! Appearance is as advertised. These give the fire a very realistic look with burning embers. Performs as advertised, makes my Fireplace look much better, has a very natural appearance. No one can tell these platinum embers from the real thing. Everyone who sees them thinks they are actual red hot embers. Adds a sense of reality to your fireplace. is this a 5 gram bag? Actual product weight is .03 oz. WARNING: This product can expose you to chemicals including Ceramic fibers (airborne particles of respirable size) which is known to the State of California to cause cancer.